I knit this coaster as a cunning wee teaching tool. It’s time to prep for fall classes (both as a homeschooler and as a teacher at my LYS Knit 2 Scrap 2). 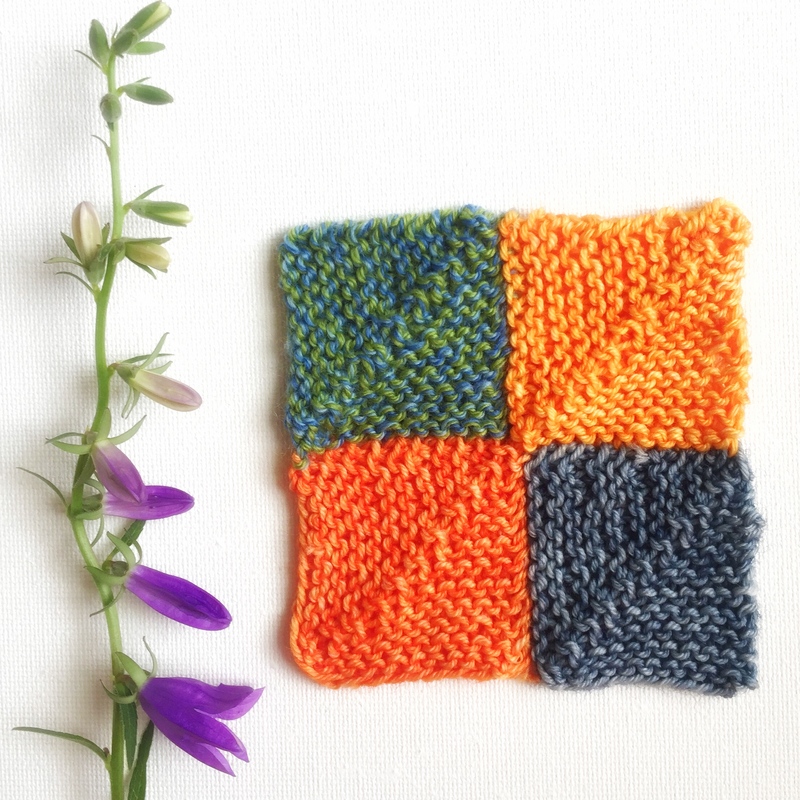 I’m teaching a class on join-as-you-go mitred squares since people have been loving my blanket every time I pull it out, and these little right-angled bits of knitting magic will be used to teach my students everything they need to know to make blankets, pillows, etc. I’m also teaching more classes in the fun Boot Camp series. This fall my boot camps range from using Ravelry better to provisional cast-ons and hems. I’ve long wanted to see what would happen if I taught a class on one of my patterns. What would it do for me as a teacher? What would it teach me as a designer? We’re going to work on the Thotful Spot Hand Warmers. I seriously love this pattern. (Am I allowed to say that? Whatever. There are no knitting police.) It is so simple and yet both stylish and comfortable. I’m also teaching two classes at the Fall Retreat. I know this makes me busy, especially during university soccer season (I coach), but I really, really like teaching. And things that we like are good things, ya know? ← Podcast Episode 1 – Welcome!